Terrell Suggs has been a significant part of the foundation of the Baltimore Ravens’ defense for a long time. Yet the linebacker won’t be with the Ravens when they take the field this fall, as he signed a one-year, $7 million deal with the Arizona Cardinals earlier this month — ending his 16-year tenure in Baltimore. That move, head coach John Harbaugh said, left him stunned. Suggs has been with the Ravens since he was selected by the team with the No. 10 overall pick in the 2003 NFL draft. The seven-time Pro Bowler and 2011 Defensive Player of the Year has recorded 854 tackles and seven interceptions in his 16 seasons with the team, and, other than a few injury stints, has been a mainstay in their defense. Even though he’s left the franchise, Suggs said it was no easy decision for him to make. One of the biggest reasons for Suggs’ departure, however, was because general manager Ozzie Newsome stepped down this offseason. Newsome, who will be replaced by Eric DeCosta, had been in that role with the team since 2002, and was the first African-American general manager in the NFL when he was appointed. While there were other factors — including the departures of fellow veterans Michael Crabtree, safety Eric Weddle and quarterback Joe Flacco, among others — the biggest reason came down to Newsome. 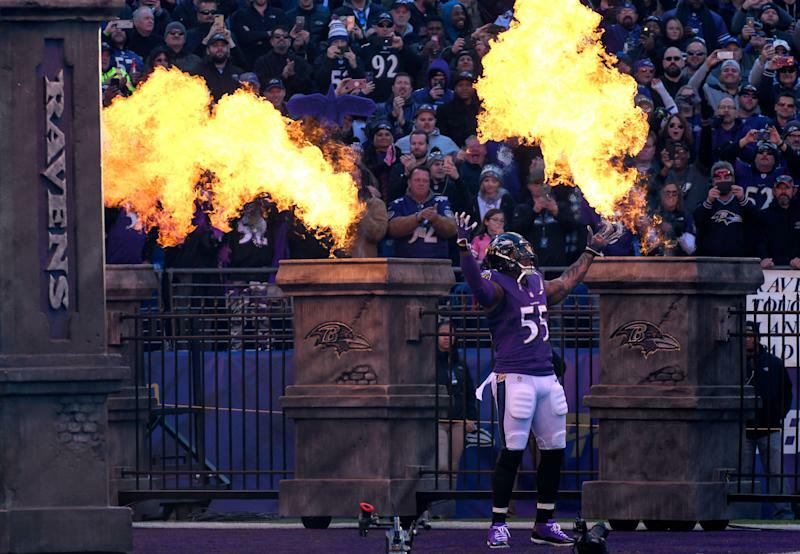 Had the general manager stayed in his role for another season, Suggs said there “was a good chance” that he would have finished out his career in Baltimore. It will be unusual for Harbaugh without Suggs leading his defense this fall, but he said he understands the decision. The team is clearly moving in a new direction as a whole, and, at the end of the day, the NFL is a business. “You get to the point now where people just do what they have to do,” Harbaugh told the NFL Network. "Everybody's coming from a different situation and the one constant is that there are no constants.